FULLERTON, CA. 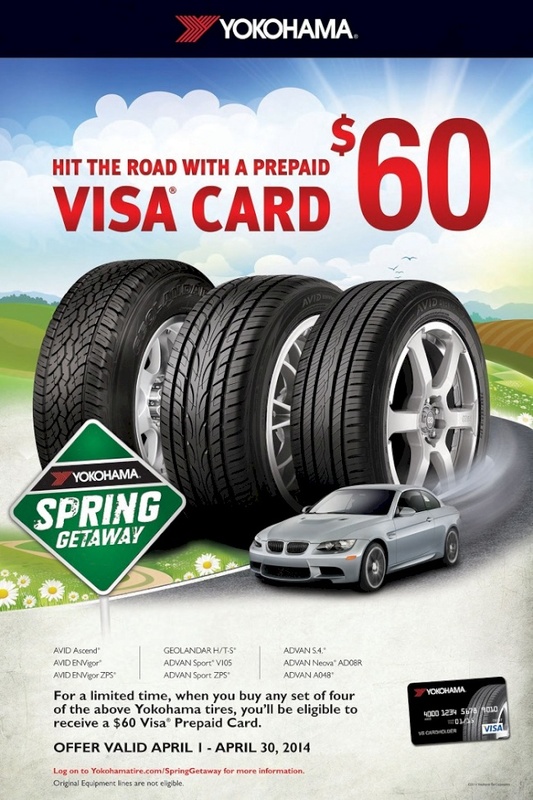 – (April 1, 2014) – Spring is here…and so is Yokohama Tire Corporation’s (YTC) latest national mail-in rebate promotion: Spring Getaway. Now through April 30, consumers will receive a $60 Visa® prepaid card after the purchase of any set of four select Yokohama treads. The rebate is available at participating Yokohama dealers nationwide, as well as select online retailers. Details of the promotion can be found at www.yokohamatire.com/SpringGetaway.